US telecoms firm AT&T is to use technology from CorFire to power NFC Connect, a new platform that will enable it to offer a wide range of NFC services outside of the Isis mobile commerce venture it co-owns with Verizon and T-Mobile. 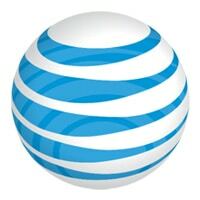 CorFire technology will also be used to deliver the carrier’s AT&T Commerce Connect mobile marketing platform. AT&T NFC Connect will act as a service provider TSM for secure, non-payment applications such as access control. The technology is currently being piloted at Tulane University in New Orleans and Quinnipiac University in Connecticut, in partnership with CorFire and campus card provider Blackboard. Meanwhile, AT&T Commerce Connect will provide merchants with the ability to distribute offers, coupons, loyalty and ID services, gifting and stored-value accounts to customers’ smartphones.